I have used Grinters on numerous occasions. Most recently fitted new worktops, sink and taps in my Kitchen. Excellent work. Polite experienced workers, no mess and can be trusted in the house alone. Recently fitted a new shower for me at short notice, cannot rate highly enough. Another emergency – went up ladder in atrocious weather to fit roof tile which had caused water to run down bedroom wall, no-one else would have come and done this work as such a small job. Also fitted new and re-sited new storage heaters. Asked for advice as to what best for me (woman by herself) for heating in home, and got genuine advice which I totally trusted. Would always recommend this company. From start to finish a professional approach and execution to providing a new bathroom. An odd shaped room was not a problem and alternative suggestions for layout and bath suite were provided. Would I recommend Grinters? Absolutely. Would I use them again? Next job already booked. Thank you James and Geoff and the team. We had a new bathroom fitted by Grinters shortly after we moved to Somerset 2 years ago. We were so delighted with the superb job they did for us, that we have since recommended them to more than half a dozen of our friends each one of whom have been every bit delighted as we were with the service that they provided. Not only is their work of an extremely high standard, but they are also very efficient, business like and professional. They relate extremely well to their clients and are always pleasant, polite and respectful. I cannot recommend them highly enough. Congratulations on your recent 10 year anniversary and thank you very much for the very generous donation you made to the Ilton and Broadway Scout Group, following your recent celebration evening. I can assure you the funding will be put to good use to help provide more wonderful opportunities to all age groups within the Beavers, Cubs and Scouts sections. 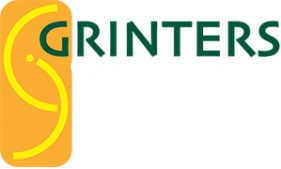 The support of Grinters, and your staff, has been greatly appreciated by the group for a number of years during which you have provided transport, catering, equipment servicing and no shortage of labour during group events. A very big thank you to all at Grinters ect for doing a very good job on the fitting of our new kitchen. We found the fitters, painters, plumber, floorers ect very good workers who did their best to make our lives as easy as possible during a dusty time. We would certainly recommend you to friends.